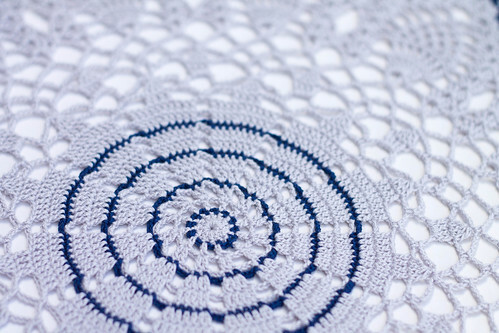 This is the last navy and silver doily I have to share with you. 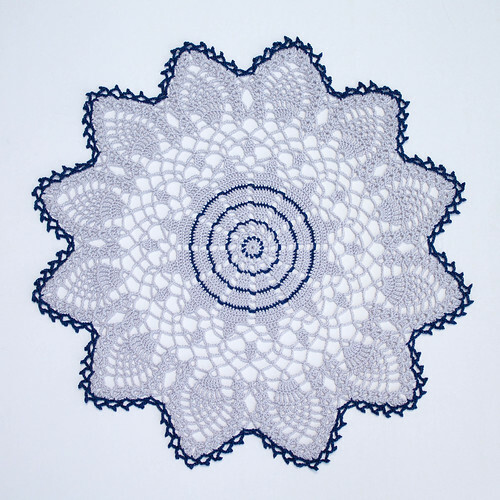 It's called the Swan Doily, for reasons unknown to me. Although, I'm sure the job of naming doilies is not easy! I have a hard enough time naming my own few little patterns. 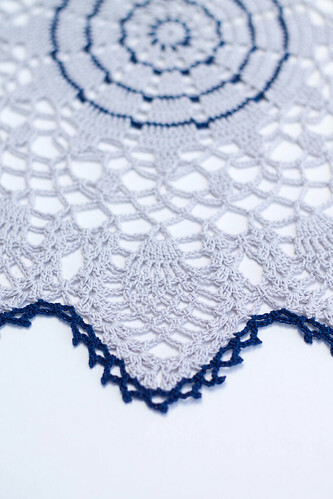 You can find the Swan Doily pattern here. 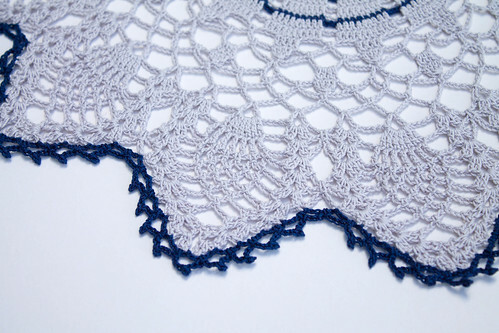 I used Aunt Lydia's size 10 thread in Navy and Silver, with a 1.65mm hook. I found it to be a fairly easy pattern, with the most time consuming part being the picots on the edge of course. Even this one : amazing!!! Lovely! This was my high school colors! I will have to look for that silver thread...gorgeous! Thank you! I'm not sure where you are, but I believe I bought it at Hobby Lobby!